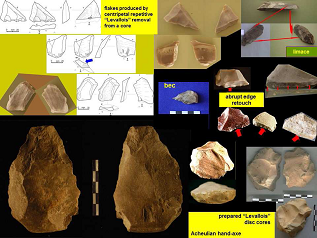 The main objective of the research project is to increase the finds of Pleistocene hominin fossils, along with stone tools, prehistoric animals, and remains of fire, by excavation at two sites, Cueva Negra (Black Cave) del Estrecho del Río Quípar de La Encarnación and Sima de las Palomas (Dove Hole) del Cabezo Gordo de Dolores de Pacheco, in the Spanish province of Murcia. An important objective is to compare and contrast how Neanderthal folk and their H. heidelbergensis forebears used natural resources near to the sites, which are in very different local nvironments. The results will be of importance in developing research into fossil man of the ice age in Mediterranean Spain. Fieldwork since the early 1990’s has very significantly increased the numbers of Pleistocene hominin remains, as well as the Middle Palaeolithic stone tools and Middle-early Late Pleistocene faunal remains, and the earliest remains of a fire from a Palaeolithic site in Europe. The results are greatly helping to extend our knowledge about H. heidelbergensis and H. neanderthalensis, their origins and their lifeways.